Get ready for adventure aboard Ocean City's authentic Eco-Boat and enjoy a traditional lunch of regional specialties! Every Starr Trip includes deluxe motorcoach transportation. 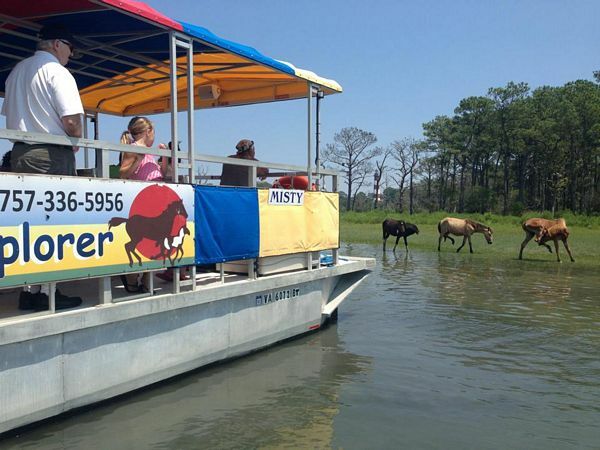 Climb aboard "The Assateague Explorer" for an exciting eco-cruise around the Assawoman Bay. Each cruise features a professional naturalist and on-board touch tank so you can discover and learn firsthand about our unique coastal eco-system. Join in on the adventure as we actually land on Assateague Island! Lend a hand as we toss a net, hoist a crab pot, and learn all about the fascinating creatures we discover as our naturalist collects and identifies our catch. Explore salt marshes; observe ospreys, pelicans and other unique marine birds. No cruise is complete without viewing the famous Assateague Ponies. Cruise is 1 1/2 hour. The original Phillips! The crab stand that once seated only four now seats 1200 amidst stained glass and Tiffany lamps. Renowned as one of the most popular dining destinations for visitors to the Eastern seaboard, Phillips Crab House is synonymous with Ocean City, MD and specializes in traditional Maryland-style crab dishes. -Seafood Cobb Salad- chilled Iceberg Lettuce, topped with chilled shrimp & crab meat, avocado, bacon, diced hardboiled egg, blue cheese, tomoato & red onion. Dressing on the side. Enjoy free time on Ocean City, Maryland's marvelous boardwalk featuring shops, eateries and amusements. 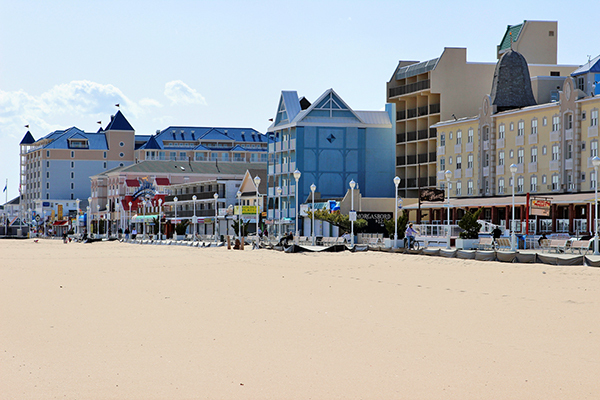 Ocean City's Boardwalk blends history and culture with modern convenience and fun. -Starr has a select quantity of wheelchair accessible motorcoaches available; therefore, we suggest you contact a Travel Advisor to discuss any needs you may have before reserving your trip.